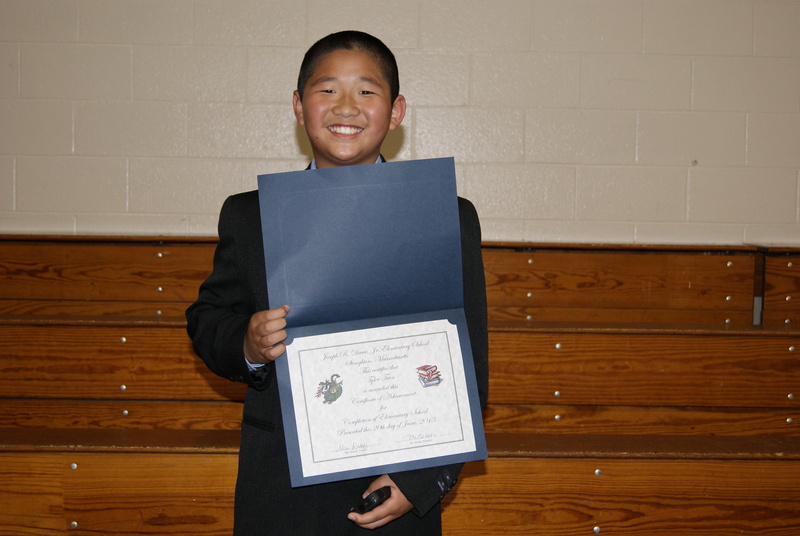 “Off the Block” is an original essay written by Tyler Tran when he was in 5th grade attending Joseph R Dawe Jr Elementary School. This essay was chosen as a national Top Ten Winner out of thousands of entries submitted for the Summer 2013 contest. Up until the third and fourth grade, Tyler used to dislike writing in school. He explains, “My third grade teacher was Ms. Noble. She was a tough love teacher. She pushed me hard especially because she knew I had a lot of potential. She made me do more challenging work and that’s why I always put in all my effort when I work. The next year in fourth grade, I had yet another supportive and caring teacher, Mrs. Murphy. She also pushed so I could reach my true potential. She made learning fun and easy. Most of the time, I barely knew I was learning! “I still miss her along with Ms. Noble, but I couldn’t have done it without my writing tutor Mrs. Zabinsky, she is the one who introduced me to the contest. She is patient with me and teaches me strategies to make writing easier, and sound better when I reread it. She gives me more confidence in myself when I write. When I work with her, she doesn’t turn down my ideas right away, she tweaks them slowly and slightly at a time, so I don’t notice the idea changing. Tyler has now been accepted for publication eight times for his creative poetry and essay writing. To read his Top Ten essay, click here. To learn more about our national writing contests, visit www.poeticpower.com. Mariam’s essay, Gone, was selected as a Top Ten Winner in our Summer 2013 national essay contest. At the time, Mariam in 11th grade attending The Harker School – Upper Campus in California. Click here to read her winning essay, and read more about this inspiring student below. “Though I consider myself an American, my Armenian roots have always held a special place to me. My father passed away from cancer when I was young and ever since my mom has raised me and my sister as a single parent. The three of us travel to Armenia nearly every year to reconnect with our family and escape the crushing pain of my father’s absence. Though it has been hard growing up, I have found the strength within myself to survive with my family’s encouragement. Above all, my ardor for writing pushes me further than my other passions. I discovered my fervor for writing when I was in third grade and started to compose small poems. Since then, I have often expressed myself through short stories and poems, which have earned recognition in various writing competitions.